Salsa is one of the many condiments used in Mexican cuisine. 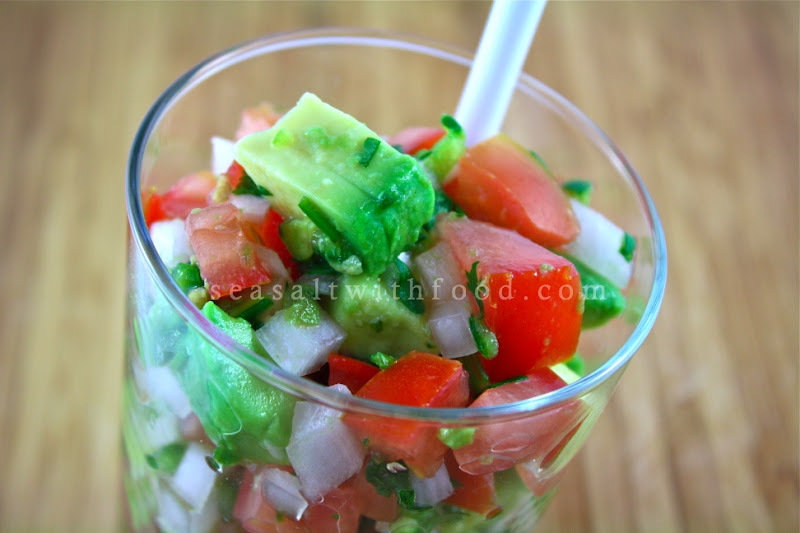 I usually make this Mexican Salsa to go with some warm tortilla chips. Today, however, I am serving the salsa with my delicious Soft Tacos With Chicken. In addition, I also made some Salsa Verde for the tacos. I will be posting the chicken tacos together with the Salsa Verde recipe tomorrow. So, please remember to come back for the rest of the recipes. 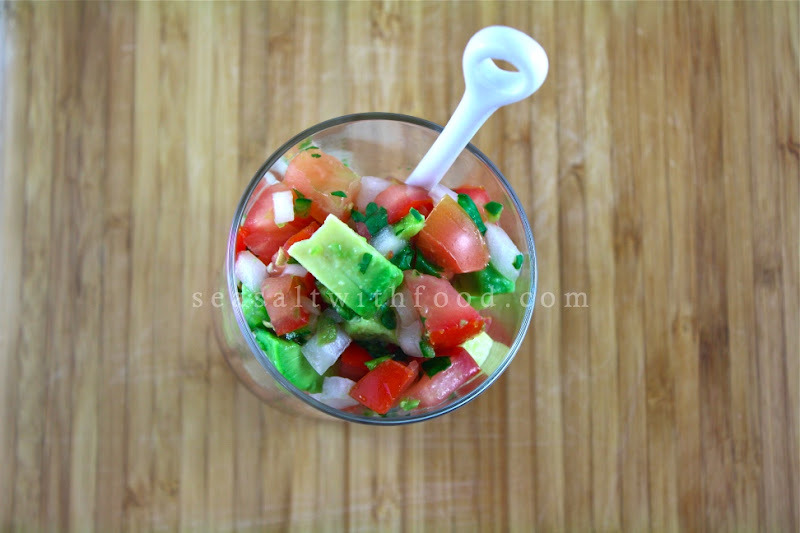 Combine the tomatoes, onion, chilies, avocado, cilantro, lime juice and season with sea salt. 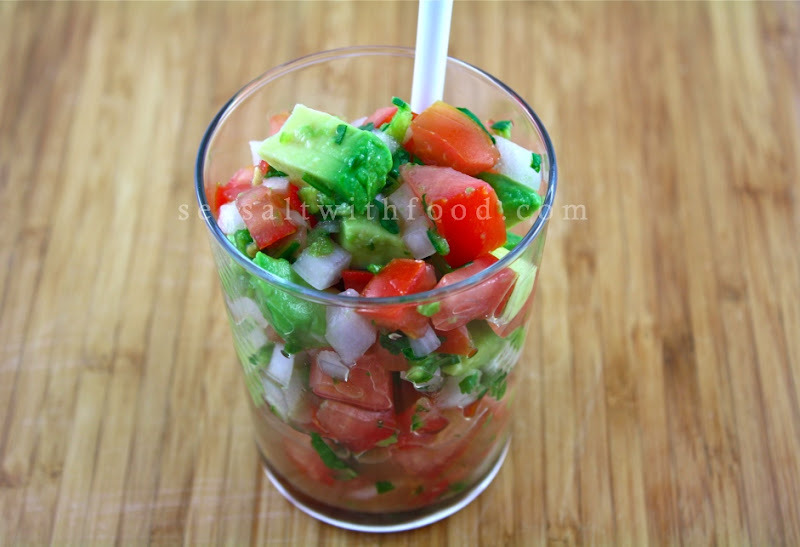 Let the salsa stand at a room temperature for about 10 minutes before serving. I like the salsa with avocado. Thanks for sharing the recipe. Jane P.
I'll pair this one with a tortilla. Adding avocados is nice because it is such a nutritious fruit. I'm into canning salsa recipes myself at http://www.chile-pepper-sauces.com/canning-salsa-recipes.html and I have to say, this is a must try!